Frontier is a Canadian 60 minute scripted adventure television series, which kicked off on November 6, 2016, on Discovery Channel and is broadcast every Wednesday at 22:00. The show is currently in its 3th season. 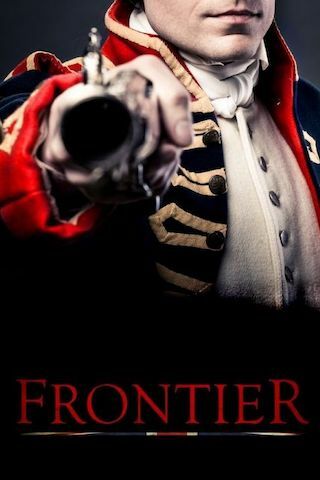 Discovery Channel is yet to announce the renewal of Frontier for Season 4 as well as its cancelation. Sign up to track down the show's status and its release date. Set against the stunning, raw backdrop of 1700s Canada, Frontier is a thrilling action-adventure series revolving around warring factions vying for control of the fur trade in a ruthless game of wealth and power. Irish stowaway Michael Smyth has barely stepped foot into the New World when he becomes embroiled in a dangerous battle between the fearless and violent Declan Harp and the formidable Lord Benton of the Hudson's Bay Company. A dramatic story of revenge and riches, betrayal and brutality, and survival of the fittest in the James Bay fur trade, everyone is gunning to be the last man standing  from the combustible Scottish Brown Brothers, to crafty ale house owner Grace Emberly, to treacherous Captain Chesterfield, to millionaire Samuel Grant. All are willing to do whatever it takes to hold the keys to the New World.